The Pokemon Company has released a closer look at the Detective Pikachu amiibo, which is bigger than a usual amiibo. 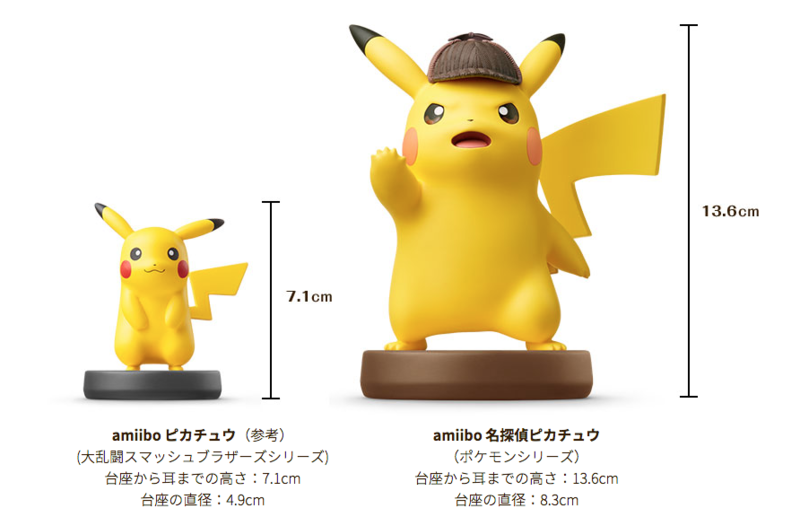 Detective Pikachu is 13.6m tall and 8.3cm wide, while the Super Smash Bros. series Pikachu amiibo is 7.1cm tall and 4.9cm wide. 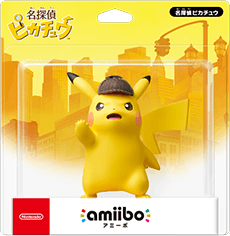 This means the Detective Pikachu amiibo is almost double the size of the original Pikachu amiibo.